Starting Sunday, Toys R Us will be offering a $10.00 gift card wyb $35.00 of ANY Hasbro games. AND you can get Candy Land and Chutes & Ladders for $3.00 with a $2.00 rebate...so just 1 Dollar! Ants in the Pants, High Ho Cherrio, Memory & Don’t Break the Ice are $5.00 each with a $2.00 rebate. When the twins were around three years old, they were finally able to crawl around the house the way they had been wanting to. The world had finally opened up a crack for them. Each inch required strength and determination. But, as Candace said, "I wanna GO!" they persevered. I watched her drag herself across the room one day while I folded laundry. Soon the cries began. Not weeping cries, but angry and frustrated cries. Her position to keep her balance was interfering with the grip she had on the folded chair she wanted to explore. As she tried to prop herself up to get a better look, her hand had become pinned and twisted in its grasp on the chair leg. "If it hurts, let go", I called to her. More wailing. So again, "Candace, let go if it is hurting you!" Silence. In that quiet moment of her resignation the words bounced off the walls and back to me. However, I REALLY would rather see you in "the claw" costume. Find the claw costume here...scroll down the page. OH how the visual of this tickles me!!!! 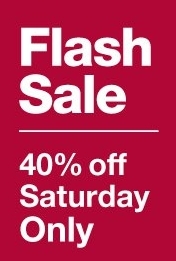 The Gap is having a 40% off sale at Gap, Gap Kids, GapBody and Baby Gap only (no outlet stores) Saturday only from 10am to 9pm. You need to mention FLASH40 at checkout. They posted about this sale on the Gap Facebook page so you can get more details there! Look what I get to do today....WHEEEEEEE!!!!! Join us for a morning of encouragement, inspiration, and fellowship. Enjoy a hot lunch then spend the afternoon at "The Spa" and be pampered with haircuts, massages, manicures and more! Click here to sign up for Coffee Mate's website and print a $1.50 off coupon! That will most likely combine with a sale for FREE creamer! Yeah! Just in time for holiday dinners! *WOW* Starting today through 11/7 The Limited is having a Friends & Family Event. CLICK HERE to get a 40% off coupon valid towards ALL Regular & SALE priced items including accessories!! Holiday Gift Guide and 10% Savings from DiscountSchoolSupply! The holidays are rapidly approaching and to get the ball rolling, DiscountSchoolSupply.com has a new coupon for you and the Holiday Gift Guide has arrived!You asked for it and we are delivering a new coupon! It is good from now until the end of the year, you can save an extra 10% on all in-stock orders! Use coupon code SHOPDSS at checkout to get in on the savings. 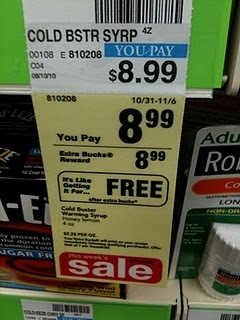 Coupon expires 12/31/10. So start your holiday shopping today! Also, receive FREE Shipping on in-stock orders over $79. Promo code from "Get The Look"
A textured large round pendant hangs from three shiny gold chains. Oh what fun it is to Shop during the Holidays, Hey! Click to access the links. Borders or Waldenbooks Stores [Store Locator] are offering 40% off any one Kids' Toy or Game with this printable coupon. Coupon is valid through November 8. Modnique just started a sale for Affinitas Lingerie. There are a bunch of cute bras for ONLY $12, in sizes 34A, 32B, 34B, 36B, 32C, 34C, & 36C. When you sign up for a NEW Modnique account you get $5. Plus when you use coupon code star you will get $10 off your purchase. Shipping is $7.95, so after codes your bra comes to ONLY $4.95 Shipped! *Do not use PayPal as you payment method because it will not take off the $10 coupon code. CLICK HERE to get a FREE Tylenol Sleep Solution Kit! Kit includes: a sleep guide and journal featuring practical tips for better sleep, satin sleep mask to help block out intrusive light, CD of soothing sounds, coupons worth up to $12, and a sample of JOHNSON’S® Melt Away Stress Lavender & Chamomile Lotion! We are gonna need this after all the holiday shopping! CLICK HERE and enter your email address to get 6 varieties of Nescafe Taster’s Choice stick packs! Allow 6-8 weeks for delivery. I added one to packs of christmas cookies last year for bus driver, etc.! Find coupon here for Cold Stone Creamery and get TWO for $5. Earth’s Best is offering a free Sesame Street DVD when you purchase 3 Earth’s Best Sesame Street products (excluding frozen items). You need to mail in the receipt as well as UPC codes from your items plus $1.49 for shipping. You can find the Earth’s Best rebate here- I don’t see dates for the promotion but I just got this in email today. You can also get a $1/2 Earth’s Best Sesame Street coupon- I would print this now! Here are a few more deals for the little ones! 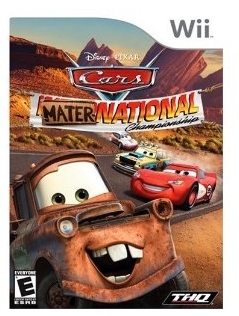 You can get Wii Games starting at $10 today. Shipping is free with Prime or Amazon Mom or with a $25 purchase. ::If you have another gaming system, you can click those links to see prices for PS3, Xbox etc.. as well. ::As we know, Amazon can change prices at any moment so these might sell out. You also want to be sure they still say “Free Shipping with Prime” next to the price. If they sell out and move to a 3rd party vendor, there will be an additional shipping charge. ::You can always look to the right side for “Amazon” as the shipper, if the free shipping is not available. Click that (if you see it) and you might get a better deal. Lots of Christmas shopping deals today!!!! Mattel is running a Black Friday sale today on Barbie items- they are marked down 60% off from regular prices. You should be able to get an extra 20% off with promo code: TXT201. They have items starting at $4. 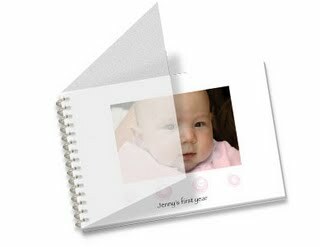 Then go back to Snapfish and create your photo flip book. Enter code DODSIGNUP to get the book FREE! This flipbook is a bit smaller than most, so it won't take hours to create. It would make a great little Christmas gift for grandparents and relatives! Giant Shoppers – Keep an eye out in your circulars, many Giants are have Dollar Doublers in their ads starting this Sunday, 11/7. Double your dollar coupons for some FREE items! General Mills is advertising FREE movie tickets when you buy specially marked boxes of cereal. Enter two codes from any two specially marked boxes of General Mills cereal. Print your free movie ticket certificate and take it to a participating theater to receive one free movie admission! We received our FREE sample (a full 15 pack!) of Extra Dessert Delights Gum --Key Lime Pie- and it is still available to request HERE on Facebook! You can choose from three flavors. 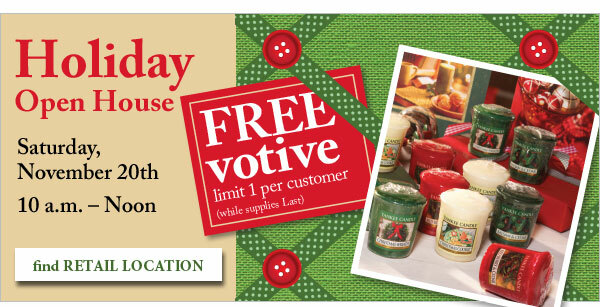 You can use the coupon once per day through December 31, 2010! CLICK HERE for a printable coupon good for $25 off $30 purchase or $30 off $75 purchase at Express. Valid today through 11/7. Buy now and put these away for great hostess gifts and stocking stuffers...just remember where you left them! 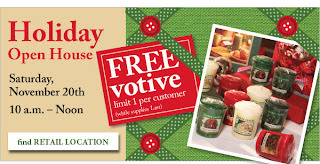 Bath and Body Works is offering Buy 3, Get 3 Free for their signature collection and holiday traditions items. Offer valid online and instores until Nov. 7th. ** If you are shopping in stores, you can use this $10 off $30 coupon as well. (Thanks, Maven of Savin) If you are shopping online, this will be your best bet to use code HOLIDAY30 to get $10 off $30 online. Here is a great deal to get your holiday labels or cards from Expressionery. They are offering an additional 30% off already clearanced items. Some of the labels are $5.60 for a set of 144 labels. There are some cute notepads and cards that would make nice gifts for teachers. To save an Additional 30% on already reduced Clearance Stationery at Expressionery.com just enter code HOME3 at checkout. Another option for return address labels is the Vista Print 144 Labels for $3.00. Kellogg's has some new printable coupons here. You will need to sign up for the site to view the coupons. Home Depot is offering a $3 trade-in on Christmas lights. Bring in your old, used Christmas light strands and you'll get a coupon good for $3 off any LED Christmas lights! This promo runs through 11/14/10. You can trade in a total of 5 sets of lights for a total of $15. You can go through your old lights and turn in the non-working strands! The Codes Still Work! YEAH! I like to check on the deals for CVS each week. If there are some freebies that look great I like to post them here...and run out to get them! Participating Burger King stores will be giving away FREE coffee every Friday morning in November! Just drop by your neighborhood Burger King November 5, 12, 19, or 26 before 10:30 am to receive a FREE 12oz. cup of hot Seattle’s Best coffee. No coupon or purchase is required for the free coffee giveaway. One cup of coffee per customer, per visit, while supplies last. (You can add flavored shots of syrup or whipped cream to your coffee for a small upcharge.) The restaurant locator on the BK Website will show you which locations are offering this free coffee in your area. I hear some people have made this their traditional annual Christmas gift...Enjoy! 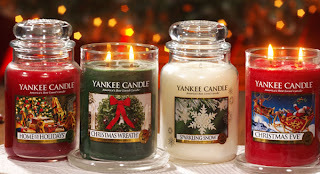 We are currently enjoying our Pumpkin Spice candle from Yankee Candle. Just the other day Alyssa commented on how it smells like Thanksgiving when she comes home. I found this deal on slickdeals.net. 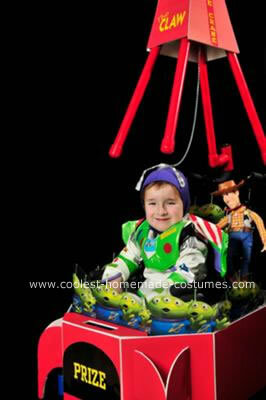 I don't know about you, but I have already had a child request this for Christmas! Best Buy Stores [Store Locator] have Toy Story 3 Blu-ray/DVD Combo Pack for $17 after applying $8 manufacturers coupon with this Printable Coupon. Starting on Sunday, November 7th, you can score free bodywash! You can get a 30% off printable coupon good for in-store purchases Novemeber 11-14 at Gap, Outlet, Banana Republic, Banana Republic Outlet, and Old Navy!! You’re invited to our biggest fall savings event! And when you shop, we'll give 5% of what you spend to The Leukemia & Lymphoma Society. 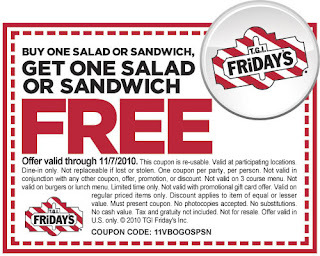 Click here to access a printable coupon to Fridays! 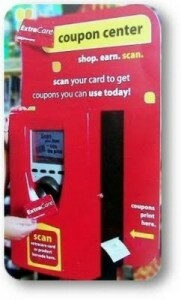 There is a great way to roll some Extra Care Bucks this week at CVS! An unadvertised weekly deal has been found tagged on the shelf! The deal is valid through 11/6! 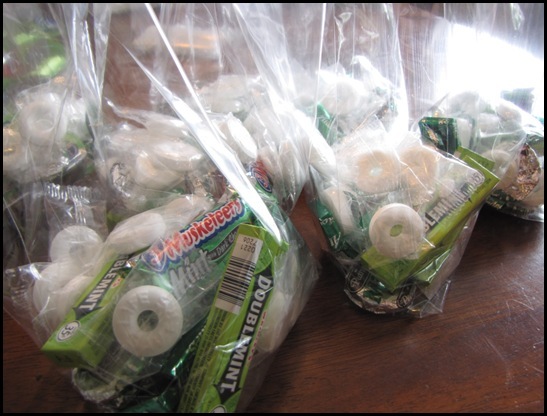 Inexpensive, yet meaningful, teacher gift…. Thanks for your commit-"mint" to help me learn. to make school such a great place to be. Thanks for helping to create a nice environ-"mint"
for me to learn and grow. has really “mint” a lot to me!!! Find the remaining directions HERE. 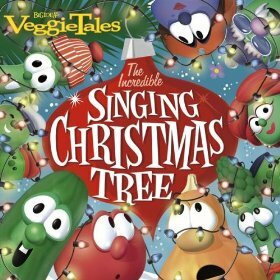 Free Veggie Tale Christmas Album download from Amazon! Click here to access Amazon.com's free MP3 download of The Incredible Singing Christmas Tree. If you aren't taking the kids out trick or treating, and you want to get out of the house, don't forget about the free kids' meals coupon for Chilis, good for tonight only!